Dies R Us: Enjoy your Birthday! Time again for my turn at posting a little bit of inspiration. I'm keeping it very simple today! 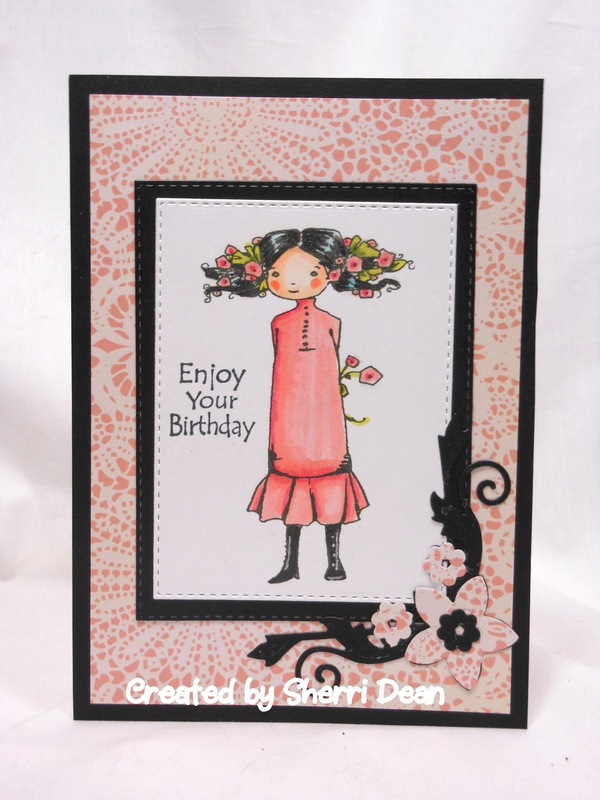 I have used only 2 of my favorite dies on this card: Memory Box Stitched Rectangle Layers (a must have die!) and Wild Rose Studio Olivette Corner (one of my favorite corners!). Since the digi image I chose was a simple one from A Day For Daisies, I didn't want to get too fussy with the card and let the image speak for itself. By adding just the right dies, you can turn any image into something fantastic with little effort on your part! If you are new to using dies in your crafts, don't feel overwhelmed with the choices out there! Begin by adding some basic shapes to your collection and then add all the "bells & whistles" as you go along. Sometimes all it takes is just a photo of a card to make you realize you want a particular die! I can't tell you how many I have ended up adding to my own collection after seeing my team mate's cards! Be sure you head over to the Dies R Us Challenge Blog too! A new challenge just began the first of the month and you could win a gift card to the fabulous store! Until next week, create something that makes you happy! 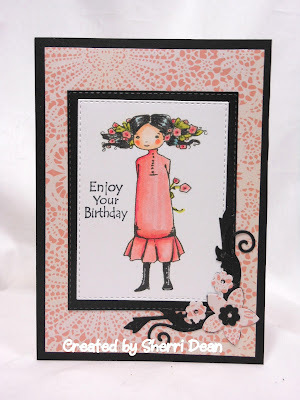 I just LOVE your card......it's so sweet and a perfect card for a good friend. You've given me inspiration to get up and attempt to case your card. Thanks for sharing. Have a great day!